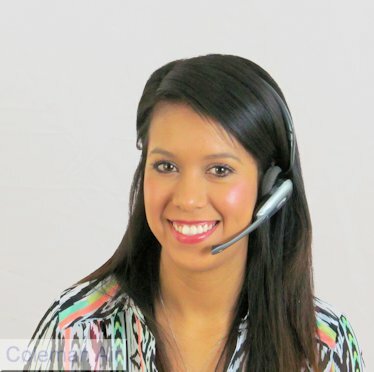 Use this envelope with form #83634 for QuickBook's 3up W2s. 3up W2 double window envelope. The 5 5/8 inch x 8 3/4 inch envelope is constructed from 24# white wove stock. The interior tint provides security. The envelope is imprinted with "Important Tax Return Document Enclosed". THIS ENVELOPE CANNOT BE USED WITH ATX SOFTWARE. Use this envelope with any 3-up 1099, 1098 or 5498 form, from anywhere! The security tint and cellophane windows ensure the privacy of the information. This envelope is 3 7/8” x 8 ¼”. All 1099 envelopes are constructed of 24# envelope stock. Use this envelope with any 3-up 1099,1098 or 5498 form, from anywhere! The security tint and cellophane window ensures the privacy of the information. This envelope is 3 7/8” x 8 ¼”. All 1099 envelopes are constructed of 24# envelope stock. Use this envelope with our 4-down Version 2 W-2 forms. If you’re unsure about compatibility, please request a sample. The security tint and cellophane windows ensure the privacy of information. This envelope is 5 ¾” x 8 ¾”. All W-2 envelopes are constructed of 24# envelope stock. 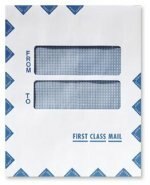 Use this singe window envelope with the 1042-S form. The security tint & cellophane window ensures the privacy of information. Constructed of 24# envelope stock. FYI, 1042SENVB is printed on the envelope flap. Can be used by high speed mailing equipment. Use this envelope with Lacerte and Intuit software. Windows align with software-produced cover sheets. Constructed of 24# stock, this envelope measures 9 1/2" x 11 1/2". Use this envelope with Lacerte and Intuit, Drake, Exactax, TaxWise, TaxWorks and Great Tax software. Windows align with software-produced cover sheets. Constructed of 24# stock. This envelope measures 9" x 11 1/2".